The Best Culinary blogs from thousands of top Culinary blogs in our index using search and social metrics. Data will be refreshed once a week.Also check out Top Culinary Youtube Channels list for Top videos on Culinary. Denver, CO About Blog Denver, Colorado Food and Cocktail Blog featuring fresh, homemade, seasonal recipes for food and cocktails. Facebook fans 9,745. Twitter followers 13,237. Austin, Boulder and Online About Blog Escoffier's take on culinary industry trends and topics. Auguste Escoffier School of Culinary Arts is a world-class culinary school based in Austin, TX, Boulder, CO.
Facebook fans 200,974. Twitter followers 8,369. Hoffman Estates, Illinois About Blog Escoffier Online culinary blog offers culinary arts tutorials, recipes and industry news. Read Escoffier student testimonials and keep up with Escoffier events. Facebook fans 90,415. Twitter followers 7,959. San Francisco, CA About Blog A place to become a better cook and share your culinary knowledge. AskCulinary provides expert guidance for your specific cooking problems to help people of all skill levels become better cooks, to increase understanding of cooking, and to share valuable culinary knowledge. Facebook fans 1,169,742. Twitter followers 527,848. Philadelphia, Pennsylvania About Blog A culinary guide for home cooks with cooking tips, techniques, recipes and everything else you need to be a better cook plus culinary schools. Facebook fans 9,580. Twitter followers 1,945. New York, USA About Blog A cooking blog from David Leite with thousands of easy recipes for home cooks that have been tested by our dedicated testing staff. You'll also find award-winning food writing plus reader reviews and ratings. Facebook fans 121,695. Twitter followers 11,206. Facebook fans 262,106. Twitter followers 3,966. Ladue, Missouri About Blog Feast delivers the best in the St. Louis, Kansas City and the Midwest region's culinary scene with in-depth coverage of restaurants, bars, craft breweries, wineries, distilleries, farmers and more. Facebook fans 52,491. Twitter followers 51,619. Washington State About Blog Chefs Resources provides culinary information for Professional Chefs. A vast array of seafood profiles, kitchen management tools, food cost and inventory. San Francisco, CA About Blog Get Anova's latest news, tips, tricks, and cooking techniques from Anova's test kitchen. Bringing your sous vide experiences to the next level. Facebook fans 296,644. Twitter followers 29,340. San Francisco, CA About Blog Get Culinary news, recipies, techniques from the culinary world. Facebook fans 1,169,743. Twitter followers 527,876. Hyde Park, New York About Blog The Culinary Institute of America is a private, not-for-profit college dedicated to providing the world's best professional culinary education. Facebook fans 236,735. Twitter followers 55,472. New York, NY About Blog The Institute of Culinary Education (ICE) has launched more than 14,000 culinary careers in food and hospitality. Founded in 1975 by Peter Kump, the school offers highly regarded six to 13-month career training programs in Culinary Arts, Pastry & Baking, Culinary Management and Hospitality Management, as well as continuing education programs for culinary professionals. Facebook fans 101,392. Twitter followers 14,849. About Blog The Culinary Cook free professional advice, articles and recipes relating to cooking and the culinary arts. Facebook fans 3,708. Twitter followers 72. Global About Blog News and inspiration from culinary nutrition experts and the Academy of Culinary Nutrition. The Academy of Culinary Nutrition, home to Meghan Telpner's Culinary Nutrition Expert Program offers online nutrition training and culinary skills with nutrition training for life. Facebook fans 8,136. Twitter followers 5,553. Chicago About Blog This blog is a place where you can find simple, fast-to-prepare, healthy and indulgent recipes made with seasonal ingredients. Inspire yourself to culinary success! Most recipes include step by step photos or even videos. I share a mix of healthy, easy to make meals, perfect for busy people who never have enough time to cook dinner. Facebook fans 27,000. Twitter followers 1,244. Truckee, California About Blog Stella Culinary is your online resource for learning how to cook like a professional chef. Audio podcasts, techniques videos, and recipes. Facebook fans 2,252. Twitter followers 2,177. NYC & CA About Blog International Culinary Center, founded as The French Culinary Institute, is a world’s leading center for culinary and wine education. Facebook fans 54,758. Twitter followers 19,649. Berkeley, California About Blog Bauman's blog provides up to date holistic nutrition & culinary arts news as well as announcements for upcoming Bauman classes & events. Bauman College is a holistic nutrition & culinary arts college offering Natural Chef and Nutrition Consultant Training programs. Facebook fans 26,825. Twitter followers 1,207. New York, NY About Blog Start your journey to become a chef today. Natural gourmet institute for health & culinary arts professional chef’s training program. View Natural Gourmet Institute's News, Reviews, Guides, and Classes! Facebook fans 22,476. Twitter followers 11,783. Niles, IL About Blog PolyScience Culinary is the world leader of sous vide and other innovative culinary technologies. Facebook fans 68,445. Twitter followers 7,851. New York, NY USA About Blog IACP has been an invaluable resource for culinary professionals who are telling the story of food. IACP connects culinary professionals with the people, places, and knowledge they need to succeed. Facebook fans 11,369. Twitter followers 9,557. South Africa About Blog Capsicum Culinary Studio is Southern Africa’s leading professional chef education and training institution. Capsicum’s professional programmes on offer are internationally approved by City & Guilds (UK) allowing graduates entry into the marketplace anywhere in the world. Facebook fans 32,389. Twitter followers 2,915. Los Angeles, California About Blog Life & Thyme is a community-driven publication documenting food culture around the globe with a focus on storytelling. Our complete collection of stories documenting the culinary, beverage, & hospitality industry from around the world. Facebook fans 11,684. Twitter followers 4,173. Gaithersburg, MD About Blog L'Academie de Cuisine is a top culinary school and pastry school offering day and evening professional programs. Located in Gaithersburg, Maryland. Facebook fans 5,121. Twitter followers 1,708. Santa Monica, California About Blog Read articles, find helpful food and recipe tips, and new exciting recipes at The Gourmandise School blog in Los Angeles. The Gourmandise School offers some of the best cooking classes in Los Angeles for beginners to professionals using locally sourced ingredients. Facebook fans 4,865. Twitter followers 571. Austin, Texas About Blog Austin Food Magazine is the premier online culinary publication for reviews & news providing an inside look at your favorite dining hotspots. Facebook fans 24. Twitter followers 3,676. Dubai About Blog ICCA Dubai is The International Centre for Culinary Arts. Our mission is to become the leading culinary training provider in the Middle East and redefine the way in which professional & personal culinary training is delivered across the region. Facebook fans 21,841. Twitter followers 1,097. London, UK About Blog The blog indicates information about preparing healthy raw food and starting a raw food career. Living Light offers a variety of practical yet fun and life-transforming training who plans to forge a career in the fast-growing arena of raw living foods. Facebook fans 17,843. Twitter followers 18,051. Glen Ellyn, Illinois About Blog Fine cookware, bakeware and cook's tools; spectacular tabletop and linens; specialty food; and the best cooking classes ever! Facebook fans 4,857. Twitter followers 272. United States About Blog Susan's Cooking School blog about cooking and baking, recipes, techniques, videos, cooking classes and food in our world. Houston, Texas About Blog Stay up to date with Culinary Institute LeNôtre news and events with our blog! Culinary Institute LeNôtre is a top culinary arts school in Houston, Texas, offering degree programs, certificates and non-degree seeking options. Facebook fans 12,205. Twitter followers 664. Bhubaneshwar, India About Blog I am Alka, Blogger, Photographer, Food Stylist, Recipe Developer and the driving force behind this blog. Here, I share my passion for home cooked food which I capture through my lenses . I am a self-taught cook and a Photographer who try to create magic with everyday cooking. Facebook fans 3,910. Twitter followers 409. Maine, USA About Blog IndustryEats is an online publication that focuses primarily on lovers of everything food. We write articles that cover cooking, tips and tricks, interviews with chefs, bloggers, restaurant owners and more. Facebook fans 54. Twitter followers 325. Global About Blog We Are Chefs is American Culinary Federation’s blog focusing on issues affecting chefs, student culinarians and food from an industry perspective. Blog topics will focus on issues affecting chefs, students and food from an industry perspective as well as in-depth features on food and culture. Facebook fans 62,408. Twitter followers 10,518. Bellevue, WA About Blog Sizzleworks is all about having fun teaching home cooks to make fabulous meals. We offer team-building events, scheduled classes and private parties. Facebook fans 792. Twitter followers 141. Cayman Islands About Blog Flava is Cayman's premier culinary magazine, packed full of informative features and delicious recipes. Facebook fans 437. Twitter followers 715. Dubai, United Arab Emirates About Blog I’m Dima Sharif, A Dubai-based Food Artisan & Author of award-winning cookbook ‘Plated Heirlooms’. Welcome to my home online, where I share with you my culinary journey, recipes and a shop offering my specialty artisanal goodies, called ‘Mooneh’. Facebook fans 16,768. Twitter followers 5,122. Alberta, Canada About Blog Culinaire is a free food and beverage magazine tempting tastebuds, engaging appetites based out of Alberta. Sharing their secrets are chefs, sommeliers, brewers, mixologists, restaurateurs, and local food and beverage experts. Culinaire serves up features on dining in, dining out, wine, beer, spirits and cocktails. Facebook fans 1,485. Twitter followers 5,592. Baton Rouge, Louisiana About Blog Follow along with the latest trends and happenings with the Louisiana Culinary Institute blog. LCI has earned the reputation as the premier culinary school in the south for graduating culinary professionals in the food service industry. Facebook fans 25,467. Twitter followers 3,164. Salt Lake City, Utah About Blog Culinary Crafts provides premier catering services for weddings and other special events in Salt Lake, Park City, and more. Facebook fans 3,930. Twitter followers 3,378. North Las Vegas, Nevada About Blog The Culinary Academy of Las Vegas is the country’s leading nonprofit culinary and hospitality training institute based in Las Vegas. They provides training to help people gain employment and develop lasting careers in the hospitality industry with competitive wages, opportunities, and benefits. Facebook fans 2,445. Twitter followers 1,022. Waco, TX About Blog Young Chefs Academy is the leading national cooking school for children. We teach thousands of children across the world that cooking can be quite creative, full of discovery, and a whole lot of fun! Facebook fans 3,204. Twitter followers 422. Facebook fans 2,535. Twitter followers 1,202. Milan, Ohio About Blog The Culinary Vegetable Institute at The Chef’s Garden is the farm’s world class educational, research and event facility designed to inspire every person who walks through its doors. Their mission is to share their knowledge, host culinary events, research new techniques and learn about vegetables from the culinary center’s devoted team of chefs and growers. Facebook fans 19,220. Twitter followers 3,290. Chicago, IL About Blog Brisan is a vertically-integrated food and beverage consulting group. Our commercialization advising, product development services and diverse ingredient pipeline position Brisan as a strategic business partner. Facebook fans 514. Twitter followers 50. Christchurch, New Zealand About Blog We bring our classroom to your kitchen! Online Culinary Education with International Accreditation! Facebook fans 1,148. Twitter followers 968. Los Angeles, CA About Blog Los Angeles Culinary School offering recreational cooking and baking classes as well as part-time programs for aspiring chefs. Read about the latest trends in cooking. Facebook fans 29,243. Twitter followers 68,693. Salt Lake City, Utah About Blog The Park City Culinary Institute is a culinary school in Salt Lake City, Utah providing hands-on training for cooking students of all skill levels. Facebook fans 6,698. Twitter followers 118. Carpinteria, California About Blog A dedicated blog for all things HEAT Culinary - keep up with the latest on classes, food truck adventures, culinary tips, photos, and fun! Facebook fans 3,227. Twitter followers 276. Edinburgh, United Kingdom About Blog Get articles on Culinary Art from Art Mag. Scotland's & North East England's Largest Circulation Art Magazine. Facebook fans 1,518. Twitter followers 1,967. New York, New York About Blog This is a food blog about expanding your culinary horizons by learning cooking techniques from around the world. Follow the story of an aspiring chef as she immerses herself in a different cuisine each month. Facebook fans 94. Twitter followers 2. Phoenix, AZ About Blog M Culinary Concepts is in the business of creating superlative dining experiences of any size in every setting. Facebook fans 298. Twitter followers 532. Eastbourne, East Sussex About Blog The Culinary Arts Studio is a state-of-the-art commercial kitchen facility available for a variety of purposes. The studio is based on the University of Brighton’s Eastbourne campus. The studio is designed to provide a rich environment for teaching, learning and personal development. About Blog Portsmouth Abbey School explores the world of food and cooking. Students in the Culinary Arts Club learn to appreciate good food and all that goes into its preparation. They practice professional cooking techniques with the help of our dining hall staff. 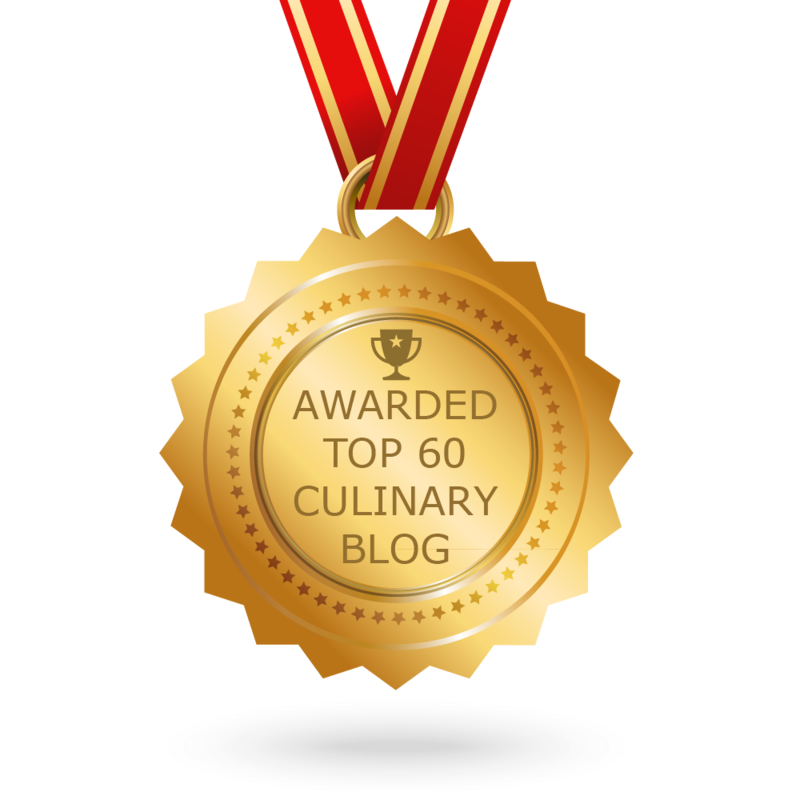 CONGRATULATIONS to every blogger that has made this Top Culinary Blogs list! This is the most comprehensive list of best Culinary blogs on the internet and I’m honoured to have you as part of this! I personally give you a high-five and want to thank you for your contribution to this world.